for any make and model of UPS system. The batteries are critical to the integrity of your UPS system. Most modern UPS systems will perform and monitor short battery tests on a regular basis, however it is also essential to maintain these systems to ensure they will operate correctly when needed. UPS Power Services can supply, install, maintain or replace a wide variety of batteries, the most common being sealed lead acid (VRLA) with a 5 or 10 year design life. UPS Power Services are an approved Yuasa Battery Partner. This means we have direct access to extensive Yuasa battery stock located in the UK, full technical support from our trained UPS specialists and are supported by Yuasa battery application engineers. UPS Power Services and Yuasa battery engineers are equipped for onsite specification, sizing, technical quotations, full electrical installation and after sales support and testing. Yuasa batteries set the industry benchmark for UPS batteries in the UK and globally for over 30 years. The reason is simple – premium quality, unmatched reliability, long life and advanced engineering with years of application expertise. Regular UPS battery maintenance is required to prolong the life of the batteries and to detect any weak or faulty battery blocks. Environmental checks, such as room temperature, cleanliness etc. Please get In touch to discuss anything UPS or battery related. Our Battery Experts can help guide you through any battery replacement, design or installation query you my have. We have battery stock available for urgent deliveries and engineers on standby at short notice for battery installations and replacements. Please call us on 0800 112 3654. 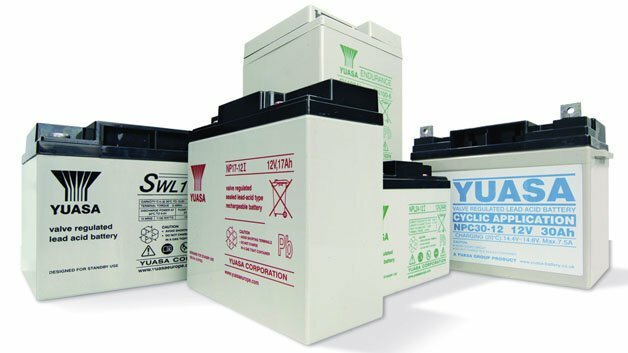 We are a premium distributor of Yuasa batteries and also have partnerships with the most commonly accepted UPS battery suppliers including CSB, Exide, Enersys and Fiamm. Contact us for a competitive UPS battery replacement proposal. Recent testing may have highlighted a rogue battery block or entire string fault. With correct technical matching of the battery characteristics followed by a careful equalisation charge, we can replace either a single block or full battery string in your current installation. Get in touch for a UPS battery replacement quote. All UPS vendors use a handful of leading battery suppliers in their original equipment. We can provide options for exact battery replacement of the existing blocks or an option of a technically comparative battery. It is the battery that provides the UPS with power to continue running in the event of a mains failure. An old or badly maintained battery set could affect the autonomy time of your uninterruptible power supply and result costly downtime should you get a mains failure. All lead acid UPS batteries, wet or gel, are prone to natural decay and have a design life of five, ten or twelve years. This is caused by metals and acid sharing the same plastic container. Natural degrading is typically about 5% per annum, depending on the type and brand of battery used. It is because of this degradation that you need to check the battery in your UPS to be sure that you will get your required and expected runtime during a mains failure. If the UPS batteries are not in a great condition then the autonomy time will be dramatically reduced and therefore a planned, safe shutdown will not be achieved. Although regular maintenance and ideal environmental conditions can extend the working life of UPS batteries, they will all eventually need replacing. If you have any doubts about the condition of your uninterruptible power supply or stand-by emergency lighting system, we can offer a comprehensive check-up, service and UPS battery replacement service for all leading UPS brands, including AEC, Riello, MGE, APC, Eaton, Powerware, Chloride, Gamatronic, Borri, Huawei, New Wave, and any other make or model. Our nationwide service is available 24/7 and includes safe licensed disposal of all waste. Its common knowledge that the battery system is the weakest link in a UPS and that battery failure is the leading cause of load loss and associated downtime. Understanding how to correctly store, install, check and maintain a UPS battery system will help prevent ultimate failure and also extend the service life of your current installation. Lets take a look at some frequently asked questions when it comes to the replacement of UPS batteries and battery maintenance. Can you change batteries on any UPS system? Yes is the short answer, depending on the size and type of UPS would determine how complex the replacement would be, but the principles are all the same. Our skilled battery engineers have worked on many systems over the years. Do you only supply Yuasa batteries? No, Yuasa is our prefered supplier. The level of quality from Yuasa and the warranty is exeptional in our experiance, they can supply almost any block in the UK within a day. We are a Yuasa main dealer, so can supply what we feel are the best batteries at the very best price. However if it is a specifc battery you require we do have accounts with all the leading battery manufacturers. VRLA batteries work on the oxygen recombination principle. However, the recombination process is not 100% efficient. So over time, the internal pressure increases, and a certain amount of gases have to be released to maintain the ideal pressure. This is achieved with the help of one-way, pressure-sensitive valves which open when the internal pressure increases above a certain threshold and allow the excess gases to be vented. That is why these batteries are called VRLA or valve regulated lead acid batteries. Excess gases are also produced if these batteries are overcharged or discharged at rates higher than the recommended rate. What is sulfation and grid corrosion? Sulfation and grid corrosion are the main killers of lead acid batteries. Sulfation is a thin layer that forms on the negative cell plate if the battery is allowed to dwell in a low state-of-charge. During use, small sulfate crystals form, but these are normal and are not harmful. During prolonged charge deprivation, however, the amorphous lead sulfate converts to a stable crystalline and deposits on the negative plates. This leads to the development of large crystals that reduce the battery’s active material, which is responsible for the performance. If caught in time, an equalising charge can reverse the condition. Grid corrosion can be reduced with careful charging and optimisation of the float charge. Why do batteries need to be cooled? Heat is a killer of all batteries, but high temperatures cannot always be avoided. As a guideline, each 5°C rise in temperature cuts the life of a sealed lead acid battery in half. This means that a VRLA battery for stationary applications specified to last for 10 years at 25°C would only live 5 years if continuously exposed to 30°C and 30 months if kept at a constant temperature of 35°C. Once the battery is damaged by heat, the capacity cannot be restored. What is the "end of useful life" for a UPS battery? When batteries are stored disconnected from a charger, their life will decrease. Due to the self-discharge characteristics of lead-acid batteries, it is recommended you charge them every three to four months of storage. After 12 months, permanent loss of capacity will start to occur. To prolong shelf life without charging, store batteries in a cooler environment. We offer replacement batteries for all UPS makes and models. Just complete the form below with the required details to obtain a quote. "I have worked closely with Mark Trolley, now of UPS Power Services in my previous role for over two years. We worked in partnership on many critical sites located around the UK. His level of UPS product knowledge along with crucially delivering on tight client expectations was unprecedented. " "Mark Trolley, now of UPS Power Services was instrumental in the design and customisation of standard UPS for hundreds of sites along the London Underground. 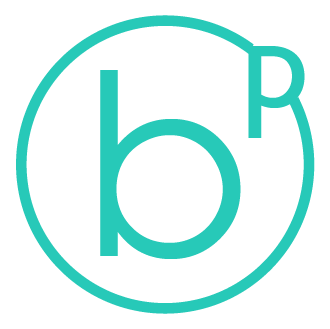 From tender stage through to testing and commissioning, every client requirement was exceeded." "Mark Trolley, managed a major upgrade to our in house datacentre at Phones 4U. This included an initial site audit, concept design options, followed by orderly shutdown, delivery and commissioning of the new system. This involved new switchgear, a standby diesel generator and a parallel UPS system all on a live datacentre site." " I would highly recommend UPS Power Services to anyone who is in the market for a new UPS or would like their existing system maintained. The Glasgow 2018 European Championships Project was managed perfectly and the product delivered and installed in time against a very tight deadline across multiple sites in and around Glasgow "
"Extremely helpful, quick and efficient service was provided to our company by UPS Power Services. Can only recommend them to anyone with UPS problems. Also huge thanks to Mr. Mark Trolly, who guided us through the entire process, and provided instant help from the first moment. Thank you again!" "Mark at UPS Power Services contacted me after placing an online quotation. He helped me to pick the right product to meet my needs and provided a lot of helpful advice on its correct application. I would buy from UPS Power Services again, as they have provided me not only with a reliable product, but also with great customer service."